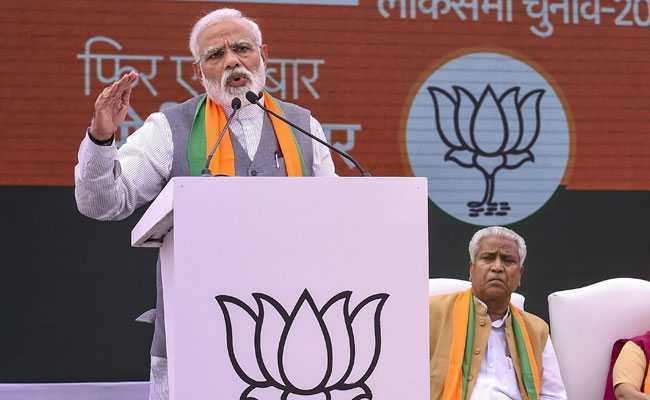 Prime Minister Narendra Modi was speaking at the release of the BJP election manifesto for the Lok Sabha elections in New Delhi. PM Modi said BJP has set targets for 2022, when the country will celebrate 75 years of its Independence. Prime Minister Narendra Modi said on Monday that India should aspire to be a developed country by 2047, the 100th anniversary of its Independence, and added that a BJP-led government will lay the foundation for this in the next five years. Speaking at the release of the BJP election manifesto for the Lok Sabha elections in New Delhi, he also said that his government had focused on meeting the requirements of the people in the last five years and it will seek to fulfil their aspirations in the next five years. "For that, the foundation has to be laid in the next five years," he said. PM Modi said that the BJP will create dedicated ministries to address concerns related to water availability and fishermen.